 A bottle of Raisa’s Honey contains only 100% natural pure honey. Our honey is directly collected from thousands of small traditional beekeeper’s farms guaranteeing a high quality 100% Grade No.1 pure honey. And no sticky mess. Our squeeze bottles with high performance no-drip valves ensure the honey only goes where you want it. Honey is honey, it’s that simple. 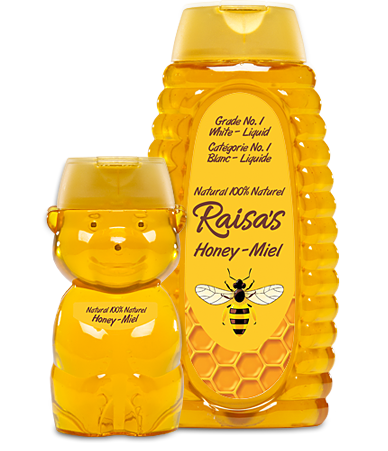 A bottle of Raisa‘s Honey contains the natural sweet substance produced by honey bees from the nectar of plants. Nothing else. We partner with small traditional Hungarian beekeepers, selecting the best honeys and ensuring the finest blends. Raisa‘s Honey is not pasteurized, and is thoroughly tested by Aplica Intertek Laboratory in Germany to ensure its 100% purity. When scientists begin to look at the elements found in this wonderful product of nature, they find a variety of naturally flavoured sugars as well as trace enzymes, minerals, vitamins, and amino acids. The colour and flavour of honey differs depending on the bees’ nectar source - flower blossoms. 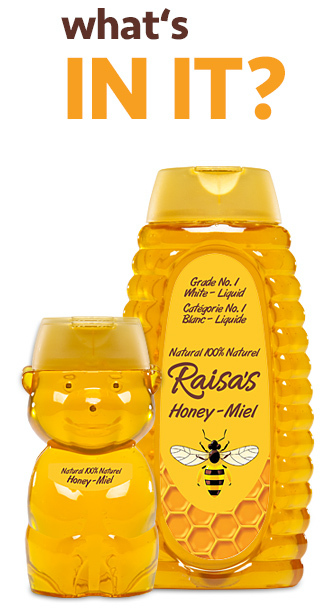 Raisa‘s Honey is available in 250g PET bear and 500g squeeze sizes. Honey is an excellent sugar substitute. Containing roughly 69% glucose and fructose, it can be used as a sweetener that is better for your overall health than regular white sugar. Recent research illustrates honey to be an excellent ergogenic aid, helping boost athletes performance. Honey is an excellent way to maintain blood sugar levels, muscle recuperation and glycogen restoration after a workout, as well as regulating the amount of insulin in the body and energy expenditure. Though honey has more calories than sugar, when consumed with warm water it helps in digesting the fat stored in the body. Similarly, honey and lemon juice and honey and cinnamon help in reducing weight. Besides being a very effective cough suppressant, honey has anti-bacterial and anti-fungal properties, and can be used as a natural antiseptic with traditional medicines. Significant medical research has illustrated the benefits of honey in the treatment of wounds, since it possesses antimicrobial properties, helps in promoting autolytic debridement, deodorizes malodorous wounds, and speeds up the healing process by stimulating wound tissues. According to the USDA, honey contains about 64 calories per tablespoon and is a superb source of energy. Honey’s carbohydrates are easily converted into glucose by even the most sensitive stomachs. Honey contains nutraceuticals, known to be very effective in the removal of free radicals from the body. This helps boost the immune system, helping resistance to colds and flus, and even potentially fatal illnesses like cancer or heart disease. Milk and honey can be consumed together to help maintain smooth beautiful skin. Honey contains a variety of vitamins and minerals, including Vitamin C, Calcium and Iron. Honey is a supersaturated sugar solution with approximately 17.1 percent water. Fructose is the predominant sugar at 38.5 percent, followed by glucose at 31 percent.  Disac- charides, trisac -charides and oligosaccharides are present in smaller quantities. Besides carbohydrates, honey contains small amounts of protein, enzymes, vitamins and minerals. Honey is known to be rich in both enzymatic and non-enzymatic antioxidants, including catalase, ascorbic acid, flavonoids and alkaloids. Although appearing in trace amounts honey also contains about 18 different amino acids. The versatility of honey and the goodness it can bring into our everyday life is amazing. But besides the enormous host of benefits that honey has, with it‘s myriad of floral tastes and countless applications, it‘s just plain good to eat. Pick up a bottle of Raisa‘s Honey today, and enjoy!